With longer days and warmer weather, many of us are spending more time working outdoors on our gardens and lawns. 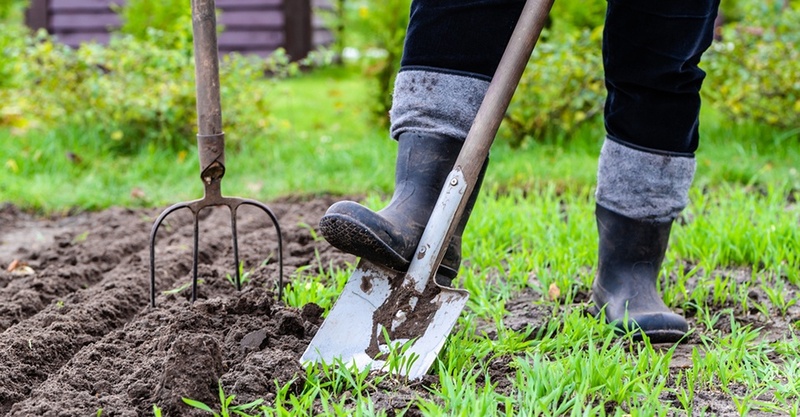 Before you grab the edge-trimmer or load up the wheelbarrow, take a moment to ensure you’re following some best practices for safe yard work. Inspect and clean equipment. Check for loose belts and missing or damaged parts. Replace any parts needed or take equipment to a qualified service representative. Remove dirt, oil, or grass stuck to the equipment. Drain old fuel. Fuel should not sit in your equipment’s tank for more than 30 days. Untreated gasoline (without a fuel stabilizer) left in the system will deteriorate, which may cause starting or running problems and even damage to the fuel system. “Old” fuel should be drained and removed, and then newly-purchased fuel should be added. Label fuel cans with the date of purchase and ethanol content of the fuel. Never put “old” gas in outdoor power equipment. Protect your hearing when using machinery. Protect yourself from diseases caused by mosquitoes and ticks. Wear long-sleeved shirts, and pants tucked in your socks. You may also want to wear high rubber boots since ticks are usually located close to the ground. Use insect repellent containing DEET. Wear wide-brimmed hats, sun shades, and sunscreen with sun protective factor (SPF) 15 or higher. Venomous bites and stings inject venom, or poison, into the body. Focus on slowing the absorption of venom into the body and quickly activating the EMS system for specialized treatment. In the case of bee stings, it is possible for a life-threatening allergic reaction to arise. Monitor the person for at least 30 minutes to see if their condition worsens. If you suspect a severe reaction is occurring, activate EMS without delay. If the person carries a prescribed epinephrine auto-injector, assist the person with using it. Start your training in the Use and Administration of Epinephrine Auto-Injectors today by clicking the button below.